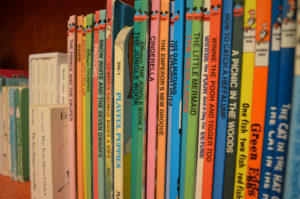 Book and media donations are needed for the Friends of the Robbins Library’s annual Children and Young Adult Book Sale on Saturday, February 23rd from 9:00 am to 2:00 pm in the Robbins Library Community Room. Donations can be dropped off at the Robbins Library beginning February 1. Look for the big blue bin near the Circulation Desk of the Robbins. Please do not bring books before February 1 as the elevator will be out of commission and we will be unable to move the books to storage. Support Arlington’s libraries by purchasing children’s and teen books, movies, and music at the Sale. There will be craft activities to keep children occupied as parents search for books. Teens interested in sorting books and organizing prior to the Sale as well as helping out on the day of the Sale please contact Amy McElroy (ae65@verizon.net; 781-648-4109); Community Service hours may be earned.